Yesterday was a day of blue butterflies. We visited Reiman Gardens in Ames, spending nearly all our time in the butterfly wing, taking pictures and reveling in the profusion of fluttering beauty. 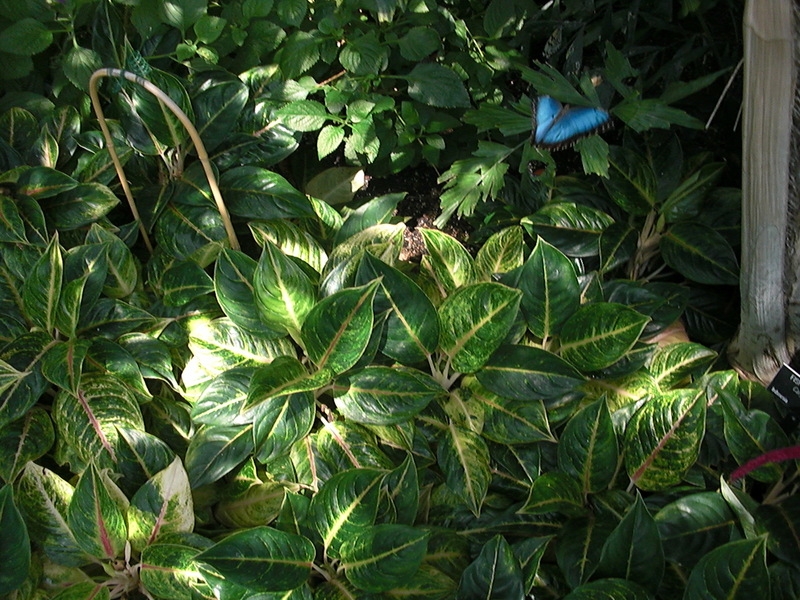 About 800 butterflies spend their brief lives in this enclosure, delighting viewers who amble through. My husband excelled at catching the large blue butterflies on the fly, while I did better at close-ups. Only it was nearly impossible to get a close-up of the large blue butterflies, which the hallway chart identified as Common Blue Morpho. Immediately on landing, the bright wings folded shut, revealing only the brown spotted bottoms. We took many pictures, trying to catch these blue beauties on the fly, and last evening enjoyed reviewing them and sharing our best captures. The butterfly is often used as a symbol for new life and resurrection. It’s easy to see why. The humble (frequently homely) caterpillar crawls up a branch, appears to “die” inside a tomb-like chrysalis, and emerges to fly with beautiful wings. Walking into clouds of fluttering butterflies lifted my spirits and raised my praise. The palette of hues and the range of sizes reminded me how much God loves variety and beauty. He created an amazing array of creatures for our enjoyment and his glory. What mind could have imagined the miraculous transformation of caterpillar to butterfly? Only the ultimate Creative. Frost’s poem ends on a sad note that evokes a sense of life’s transience, but that only reminds us of the resurrection symbolized by the blue butterflies he brilliantly describes as sky-flakes and flying flowers. 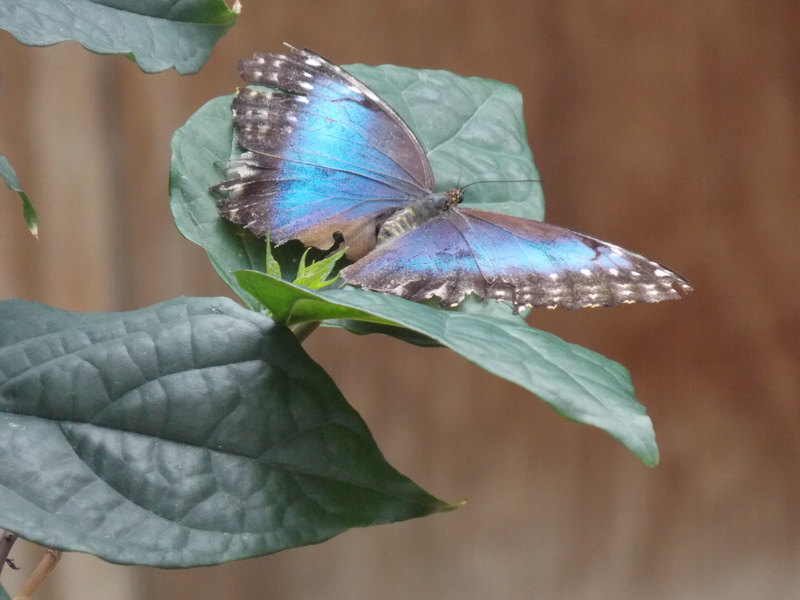 May you soon experience the delight of your own blue butterfly day! What a wonderful day! Thanks for sharing, I love butterflies. With all these bug chemicals used on grass and farms they are disappearing.